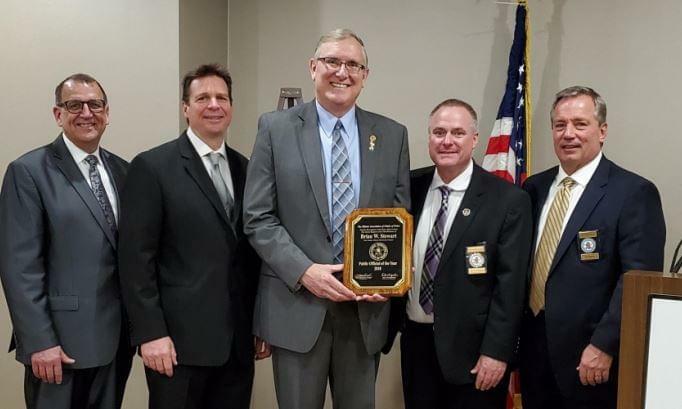 11:59 p.m. - 6:00 a.m.
State Sen. Brian Stewart (R-Freeport) has been named a 2018 Public Official of the Year by the Illinois Association of Chiefs of Police (ILACP). Stewart was recognized April 10 during the Illinois Chiefs’ Annual Legislative Reception in Springfield. Stewart is a retired Stephenson County Sheriff’s Sergeant and an Army veteran, serving as a Military Police Officer and Military Police Investigator. As a Senator representing the 45th District, Stewart serves as Spokesperson for the Criminal Law Committee. “My years serving in the military and in law enforcement give me a unique perspective on the issues important to the men and women who serve and protect our communities, our state and our nation,” Stewart said.